Sweden sees 5bn ID transactions a year. Why is the UK so far off this number? Getting Digital ID right is not easy: yet some countries, especially in the Nordics, seem to have already cracked this one. So what’s holding us back…. could it be that the UK looked to government to solve this one for us, and have left the private sector out? The possibly controversial theme was raised at a fascinating look at Identity in an international context at the UK’s only conference that looks at the question of Digital ID from a public sector perspective. 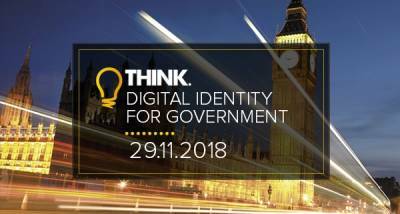 The panel discussion took place at last week’s very busy Think Digital Identity For Government 2018 conference in Westminster, where three senior Digital ID industry figures answered questions from the event’s moderator, Government Computing editor David Bicknell. These were Keith Uber, Vice President, Customer Success at Ubisecure, Colin Wallis, Executive Director at the Kantara Initiative, and Ian Imeson, Senior Identity Architect at Signicat. Imeson agreed, but then pointed out that Finland is already worrying that doing that “has given banks a monopoly in Digital ID already”, however.